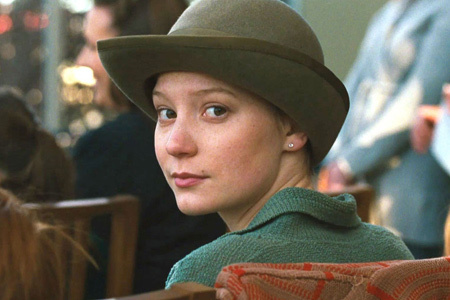 Madame Bovary: Is it Hats Off to Mia Wasikowska? 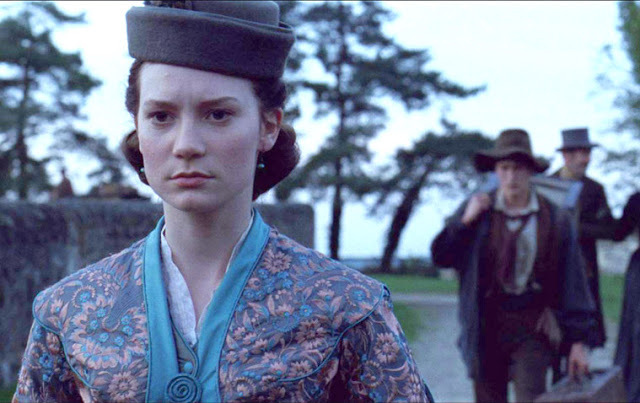 With all the roaring about Jurassic World, poor little Madame Bovary opened in a few theaters with very little fuss. Certainly less fuss than that gorgeous hat took to make! Maybe Mia Wasikowska fans took note but for most of us, the opening went without fanfare. It wasn't film news that got my movie juices flowing when I first heard about the back in September of 2013. Back then I channeled the general kvetch—Do we need another Madame Bovary? 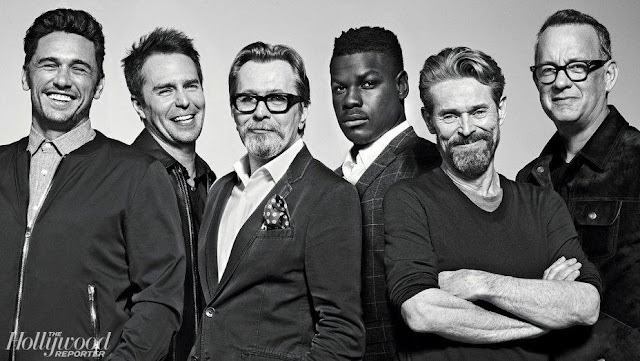 Is director Sophie Barthes giving us something new and different to explore or has she just plugged in fresh faces, replacement parts for actors whose expiration date has come and gone? To be fair, (outside of the reimagined Gemma Bovary), the last full-length feature film based on Gustave Flaubert's Madame Bovary was the French film starring Isabelle Huppert in 1991. That's twenty five years, a quarter of a century, ago. Time enough to allow another adaptation, a new vision—if it is a vision— to share the cinematic space. 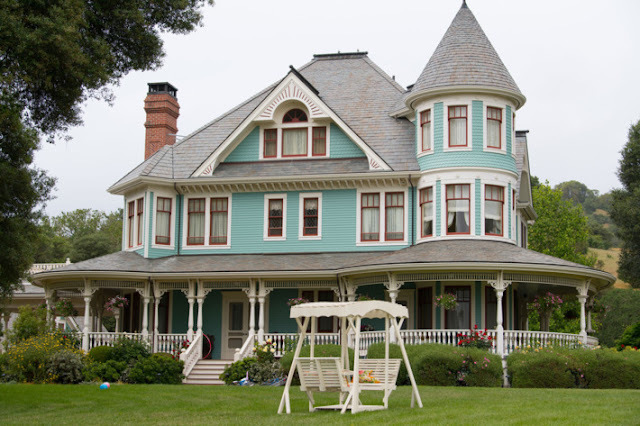 The story, based on the novel by Gustave Flaubert, is familiar of course. "In 19th-century France, Emma Bovary, the wife of a dull country doctor, embarks on a series of love affairs and spends well beyond her means. Although the affairs provide moments of perceived bliss, Emma’s idealized notions of love evade her and leave her in ruinous debt." From the looks of it, Emma spends an awful lot of money on hats! Despite the cast—Mia Wasikowska as Emma, Ezra Miller (who we loved to hate in We Need to Talk About Kevin) as Leon Lepuis, the dangerously seductive young lover, Rhys Ifans as Lheureux the sleazy loanshark who leads Emma deeply into debt, Paul Giamatti as the tedious village apothecary, Henry Lloyd-Hughes as her stodgy husband—the film isn't jumping to the tops of anyone's top ten list. BUT I haven't seen it yet. Maybe I'll love it. Hey, maybe you'll love it. 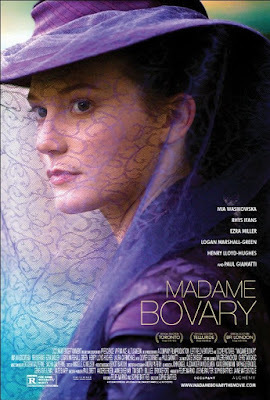 First released last year at a handful of film festivals (Telluride, Toronto, London) Madame Bovary is in theaters in a limited run right now. It's also available for under ten bucks on Amazon. Less than you'd spend on a summer bonnet. I couldn't help notice the 'exquisitely crafted' blurb from Indie-wire so I just took a look at their review. Um, I will only say the marketers of the movie had to look quite deep to find it!